How much fun is a pouffy, fluffy tutu! You can spin, twirl, dance, leap and sing in a tutu. It brings out all the make believe fairies and pretend princesses hidden within. 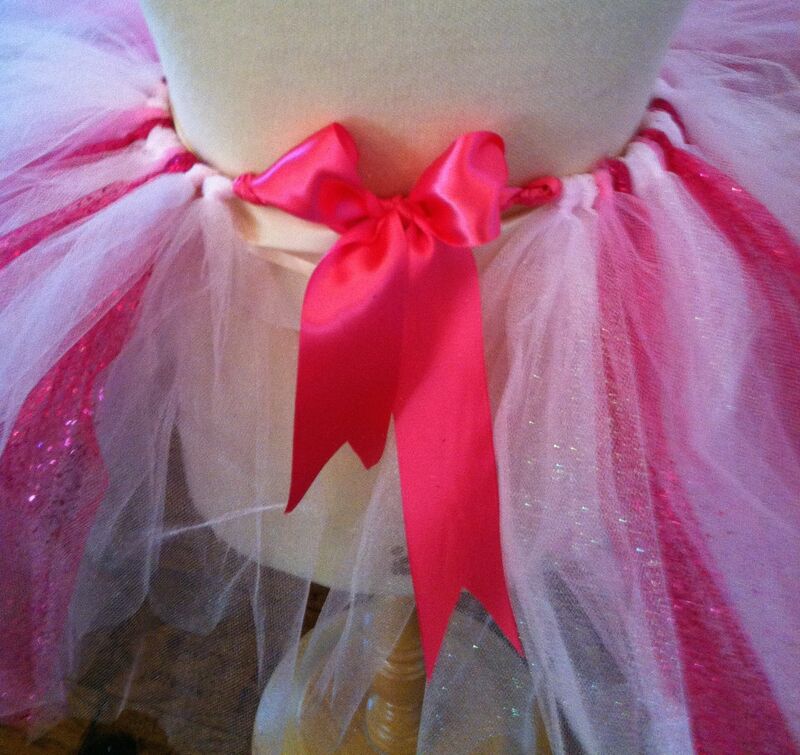 Tutus are beautiful and magical and special. 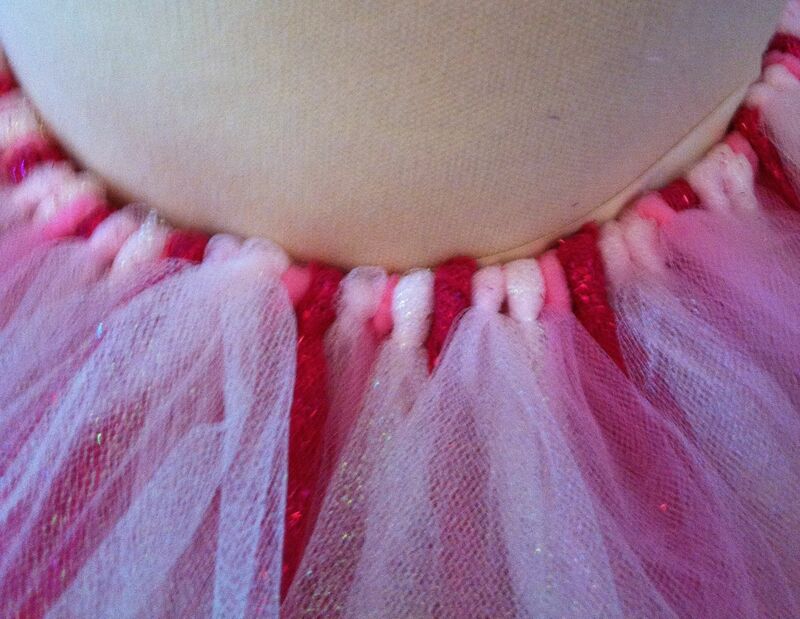 Nothing forces oohs and aahs from little girls like a tutu. So, of course, I made a tutu for granddaughter Mary and great-granddaughter Kay. (They are only two years apart in age!). It was lots of fun and very very easy. 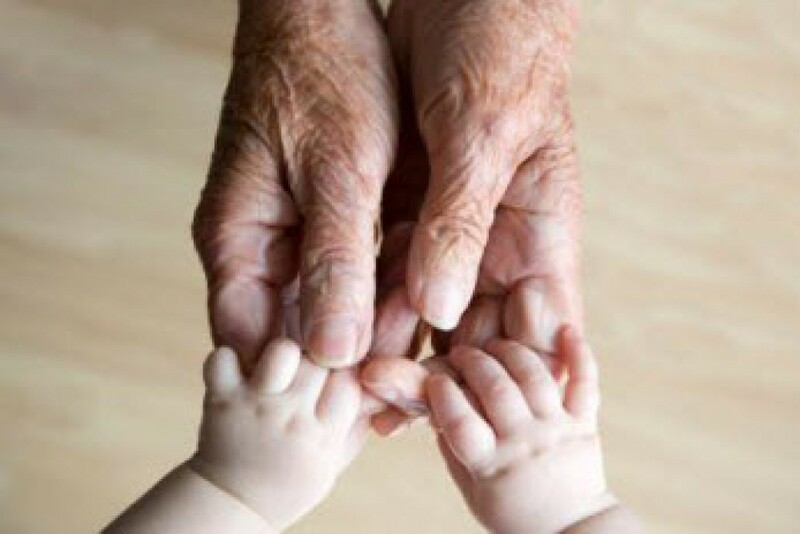 To make one: cut a 2″ wide ribbon the length of the child’s waist plus enough to make a bow (about 30″). Tie a double knot 15″ in from each end. 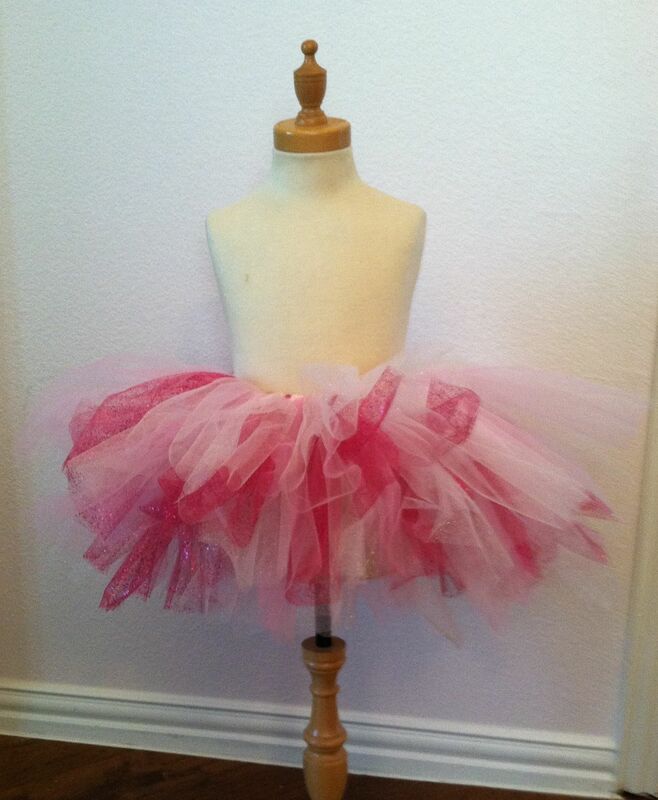 Decide how long you want the tutu to be (mine is 12″) and cut 6″ wide tulle into lengths twice that long i.e.. 24″ for mine. Then fold the tulle and tie over the ribbon. Do this from knot to knot until the area is full. Voila! You have a tie-on tutu! Use any color combination you can imagination and it will look spectacular. I used three different pinks plus one glitter tulle. Add a crown and you have an instant costume. I can hardly wait to get the photos of my two too precious girls in their too cute tutus! 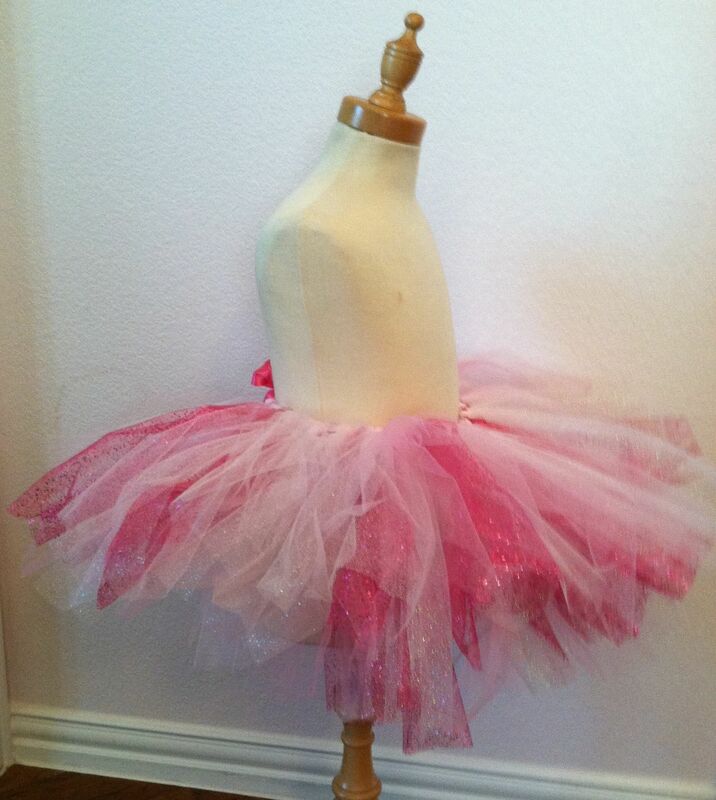 This entry was posted in In the Sewing Room and tagged children, dance, fun, gift, grandchildren, magic, sewing, too cute tutu by The Village Granny. Bookmark the permalink.